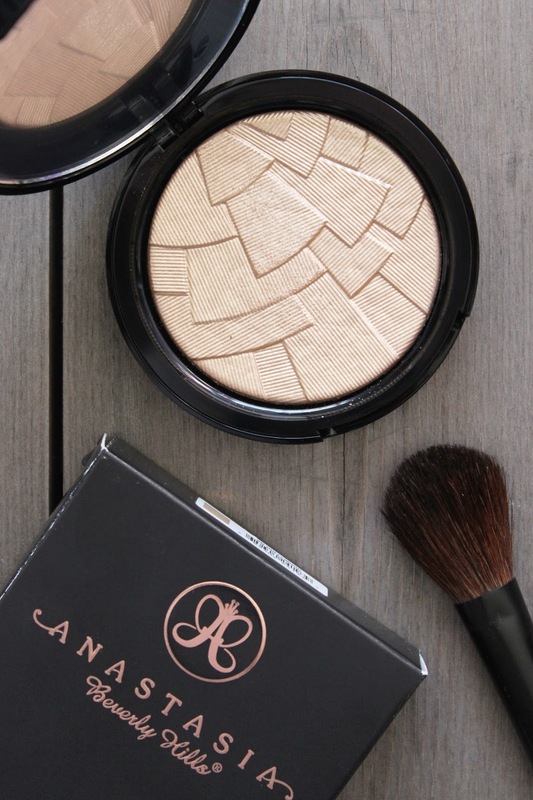 Anastasia Beverly Hills 'So Hollywood' Illuminator is a pressed powder highlight and is encased in a black-mirrored compact and embossed in a gorgeous (I don't want to put my brush in this) mosaic style design. Described as a “shimmery bronze hue” it’s a light-medium, yellow gold with warm undertones. It's actually very similar to MAC's Extra Dimension Skinfinish in 'Whisper Of Gilt', a limited edition cult favourite, that I failed to get my hands on. The formula is finely milled and feels creamy smooth, with no chunky glitter in sight. Application is effortless. Although it's very pigmented, so apply with a light hand - it's very easy to over apply and you don't want to be able to see your own reflection! Applied to the tops of my cheekbones, cupids bow and the bridge of my nose, the finish is borderline metallic, leaving a gleamy, high-shine in an instant. It's not natural by any means, but can be applied lightly and layered if a high-shine is what you're after. Unlike the highlighter 'Sand' from the ABH Contour Kit, it blends beautifully and to my surprise doesn't emphasise my pores. It wears for around 6 hours and does fade just a little over time, but this doesn't hinder it's illuminating potential. ABH has thoroughly impressed me with her latest release. There is just something about highlighters that draws me in. I suppose I'm rather like a magpie in that sense! 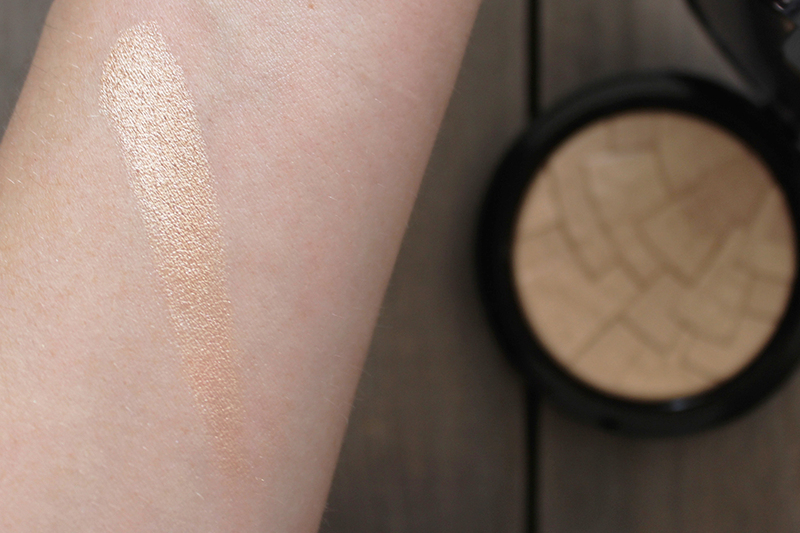 But 'So Hollywood' is unlike any highlighter I own and has fast become my favourite powder highlighter/illuminator. I think a fan brush is required - recommendations? The Anastasia Beverly Hills Illuminators cost £28.00 and are available online at Cult Beauty and I don't need to justify the price.